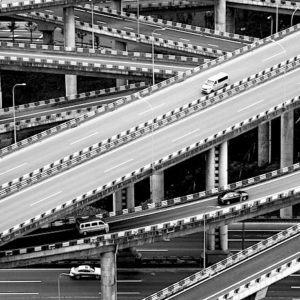 Developing the right visual or metaphor to express a concept or to communicate the unseen is a powerful exercise for two reasons. First, in the process of conjuring up new and communicative visuals, you are clarifying your science in your own mind. Think about it. When putting the pieces together in your slide presentation, or your figure or cover, you are telling a visual story—one that has to be ordered and clear. For that to happen, your thinking has to be ordered and clear. You have to help us see and understand. 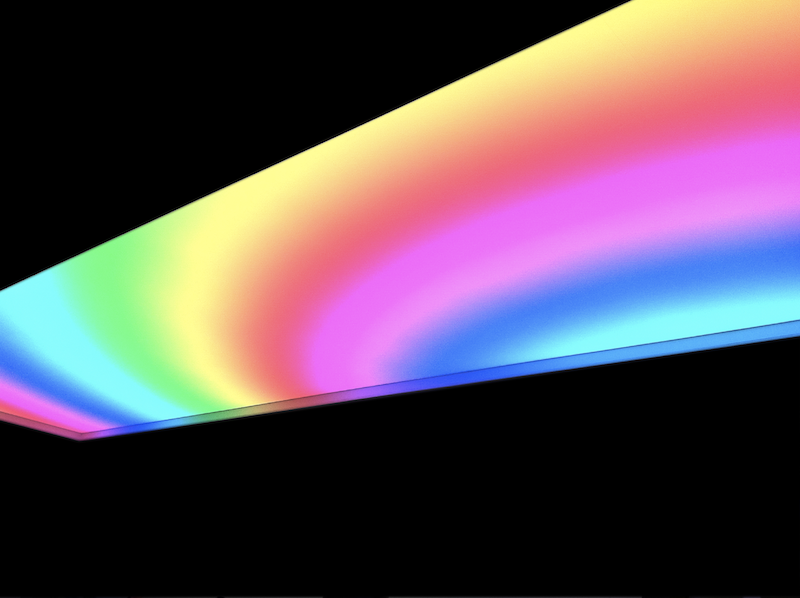 As for the second reason, I am convinced that smart, accessible, and compelling representations of science can be doors through which others can enter. It is no longer enough to communicate only within the research community. It is critical to engage those outside of research, so that we can welcome the nonexpert to observe how science advances knowledge and how critical thinking informs important decision making, based on fact. There is no question that part of a researcher’s education should be to develop ways to entice the public to look, and then to understand. Often, I have to come up with a depiction of an idea or a concept, rather than straight photographic documentation, generally because the concept cannot be photographed. 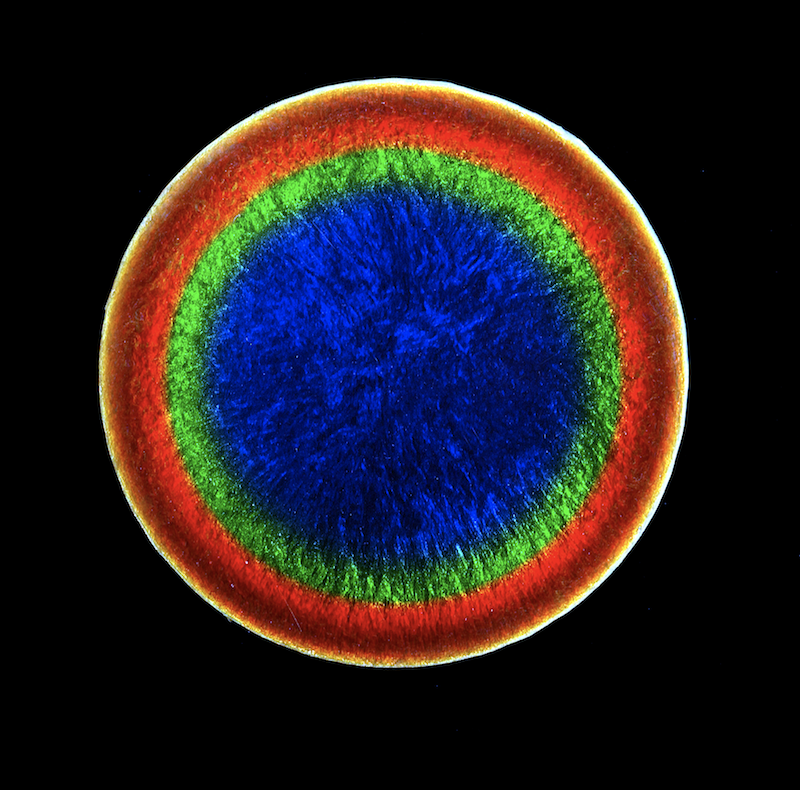 This image, which appeared on the cover of Nature Materials, is a combination of three photographs, creating a metaphor to tell the “story” about the research. 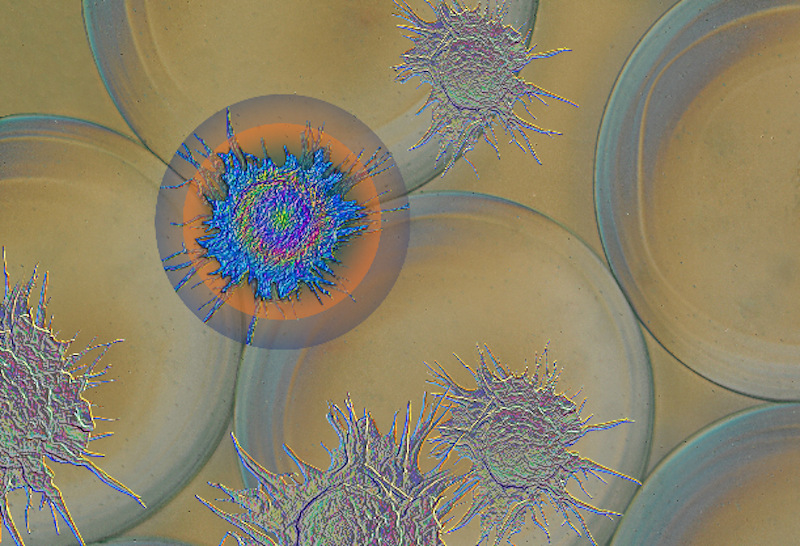 The scientists developed a technique to chemically protect an implanted device against the body’s natural mechanism of fighting any foreign material, depicted by metaphorically “deactivating” the macrophage on the left. Research: Joshua Doloff, et al. MIT. All these vials contain the same quantum dots, or nanocrystals with dimensions in the nanometer range. 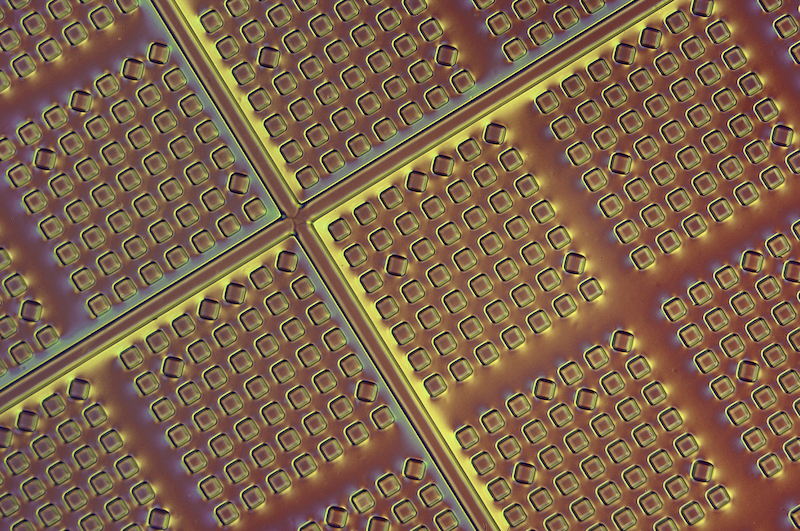 (One nanometer is one-billionth of a meter!). The difference among them is that the nanocrystals vary in size. 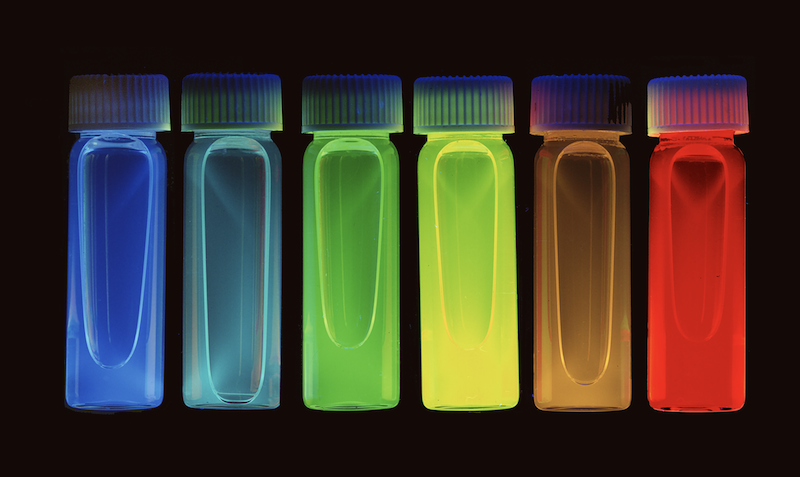 When ultraviolet light is shined on the vials of quantum dots, they fluoresce at various wavelengths, translated into various colors. Research: M. Bawendi, et al. MIT. 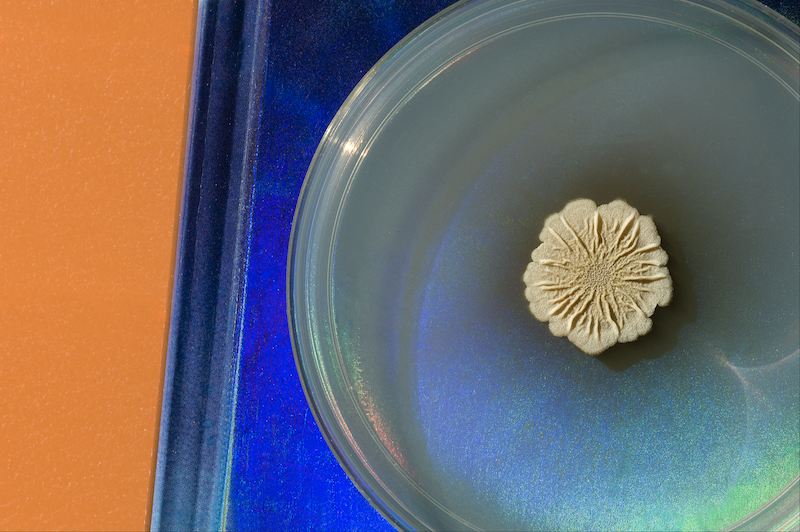 Many labs are studying nature’s designs, inspiring new approaches for developing material. 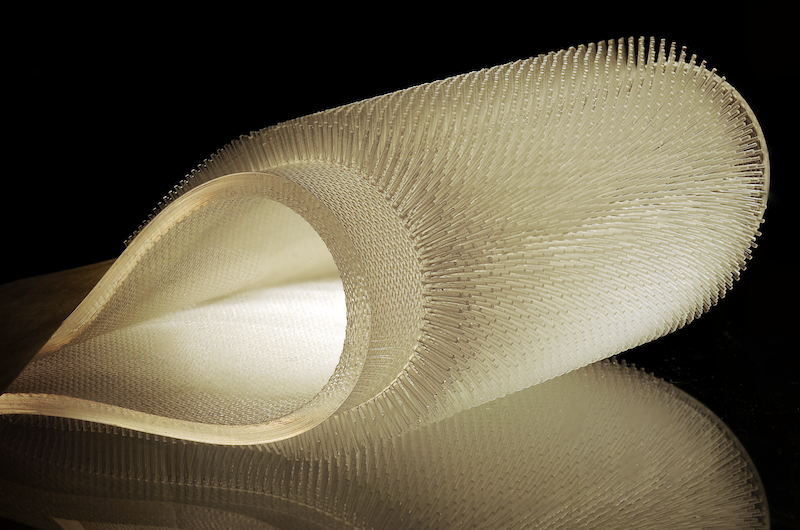 The researchers here engineered rubbery pelts to mimic beaver fur, which could potentially be used as insulation for surfers. Research: A. Nasto, et al. MIT. Here is another bio-inspired area of research. 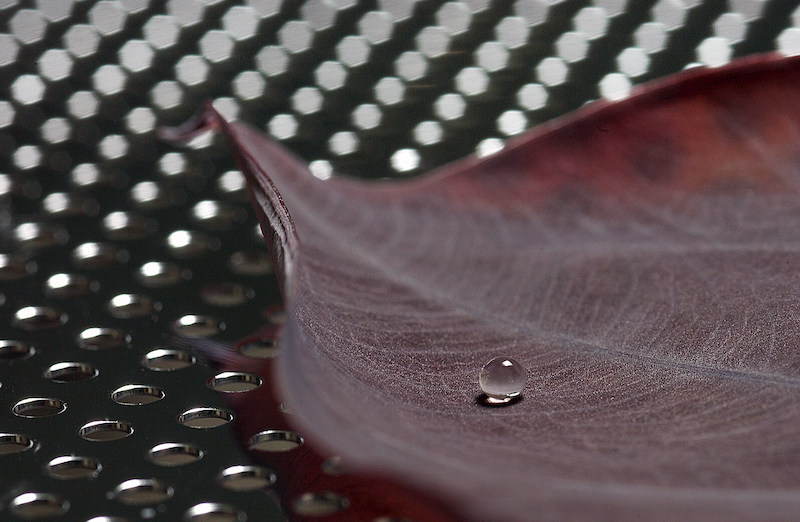 Various labs study superhydrophobic surfaces, where we sometimes see what is called the “lotus effect.” When a surface is hydrophobic, drops form into almost perfect balls, which then may easily be shed. 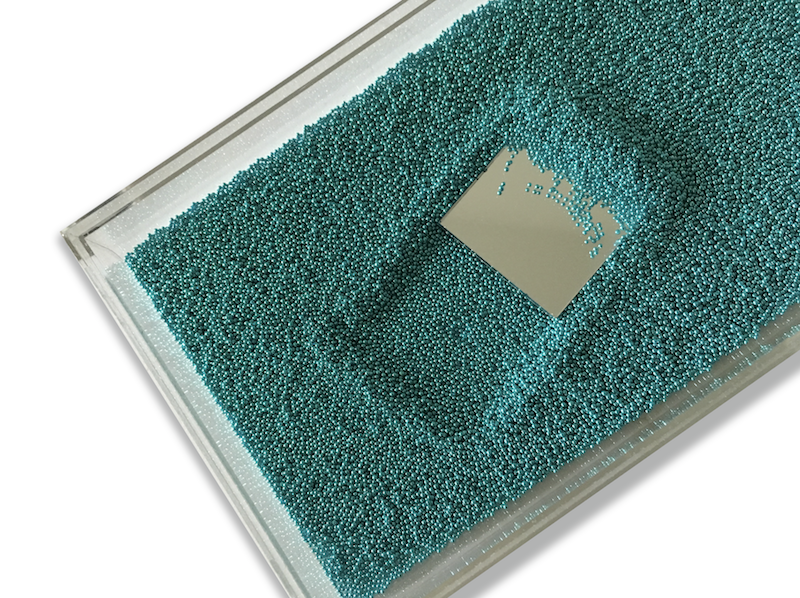 Researchers are studying the possibility of various applications, like “self-cleaning” material. The first chapter in my book is about using a flatbed scanner. Many are surprised to learn that a good, affordable scanner easily creates stunning images of three-dimensional objects. 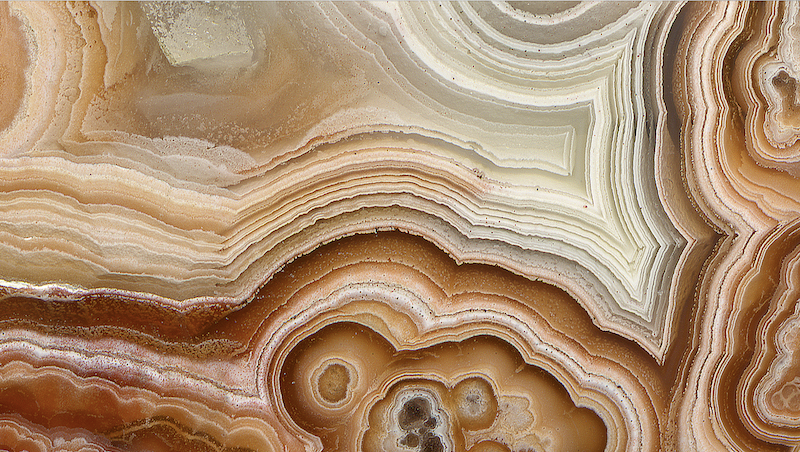 Here is a detail of agate. I simply placed the mineral on the scanner and set the dots-per-inch (“dpi”) setting so that the image would be recorded at a high resolution. 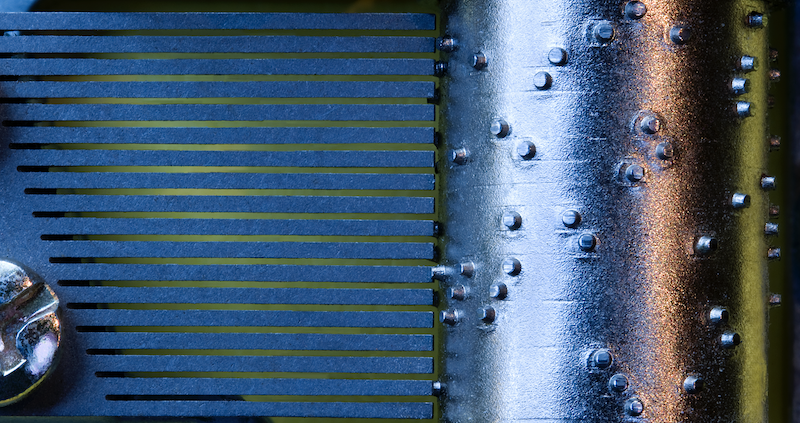 Because the captured image is a large file size, this zoomed-in detail shows structure that the naked eye cannot see. It’s almost like using a microscope. 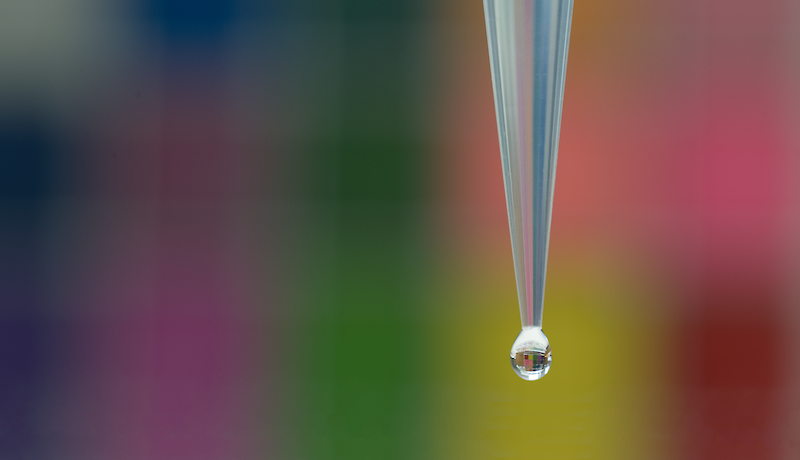 I used a 105 macro lens to photograph a drop of water, anticipating that the background would be out of focus.If you look carefully, you can see the in-focus image of the background within the drop—the drop is acting like a focusing lens. I urge readers of this book to come up with some interesting ideas for backgrounds, to enhance the image, but not to distract from the important part. 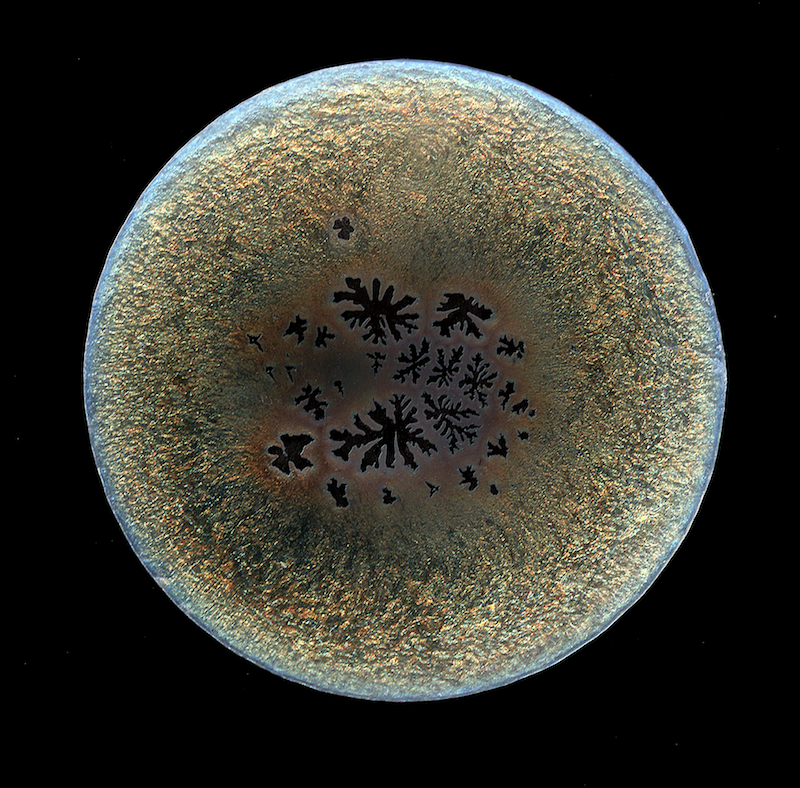 In this photograph, I placed the petri dish with bacterial growth on a piece of blue plastic and then placed the two on an orange background. The key is not to bring attention to the background but only to compliment the primary content. Research: Vlamakis, et al. Harvard Medical School. Recently, I have changed my mind about encouraging my students to use their phone cameras. At first, I considered it a waste of time because the file sizes were too small and very few journal publications could use the images. That has changed as the images are becoming technically more accurate and rich. Moreover, the more photographs you create, the better a photographer you will become, as long as you study and critique your images, and start deleting those that are not worth keeping. The most compelling reason to use your phone camera is to capture those wonderful moments quickly, just when you see them. They might be gone in an instant. While sitting in the Google atrium in Cambridge, I was spellbound by the constantly changing digital ceiling. I made a movie with my phone, but a quiet still worked just as well. This image was shot 24 hours after the previous image. The change is fascinating and beautiful. 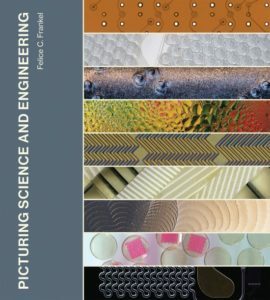 From Picturing Science and Engineering. Used with the permission of The MIT Press. Copyright © 2018 by Felice C. Frankel.